Despite a zillion employee engagement surveys and billions of dollars invested (or is that spent?) 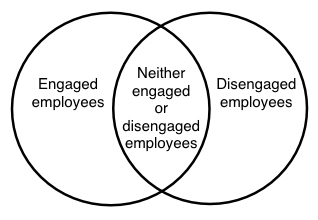 in most organisations there are more people neither engaged or disengaged than there are engaged or disengaged. This week focus on the middle. My story below may help you.